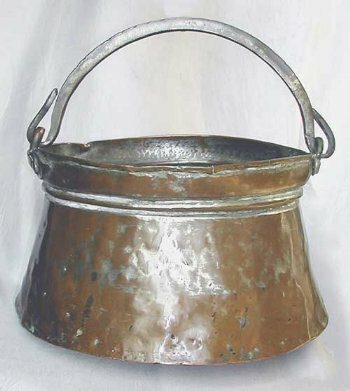 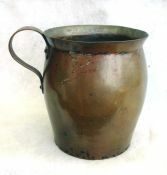 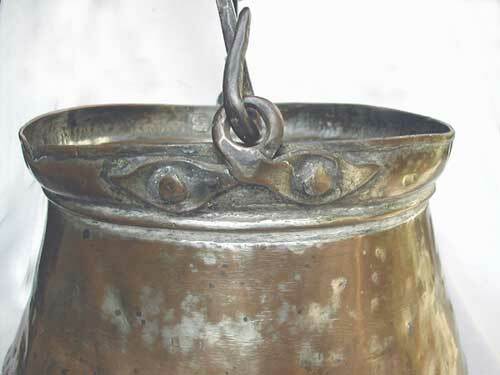 19th century hand wrought copper pot with handle. 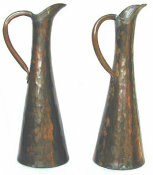 Unique design and shape. 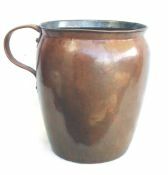 Hand plannished. 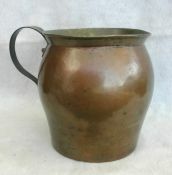 Beautiful original patina. 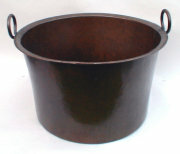 Dimensions: Diameter of base: 10.75", diameter of top: 8.75" Ht: 6.75", to top of handle: 10.5"